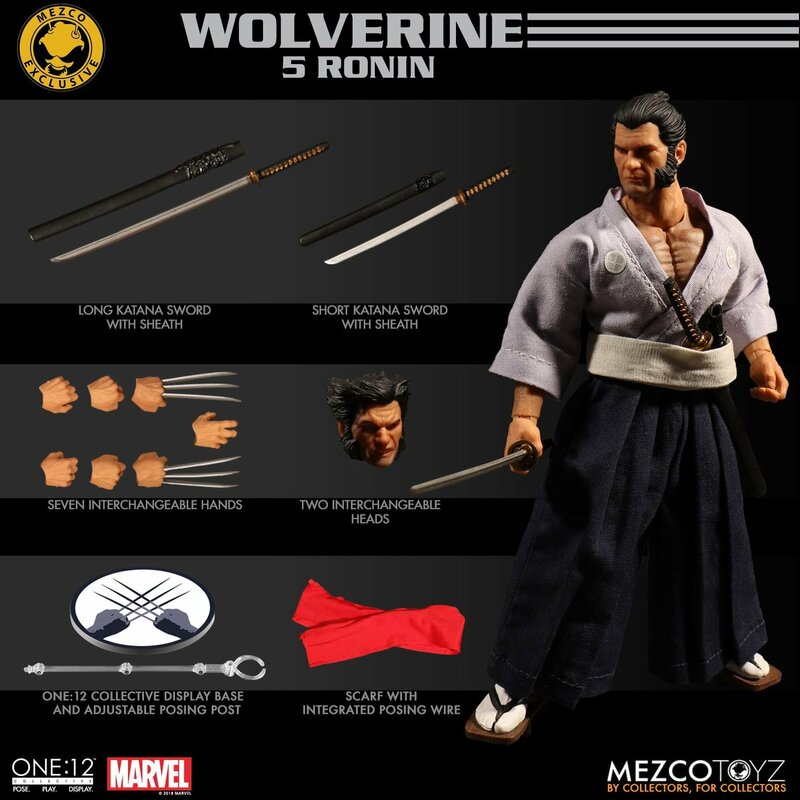 Mezco presents a new One:12 Collective figure exclusive for New York Comic Con 2018: Wolverine 5 Ronin! This limited edition exclusive is only available via mezcotoyz.com and at the Mezco Toyz NYCC booth #1954. The figure is priced at $85. Keep up with all the latest toy news by following Figures.com on Facebook and Twitter! To buy action figures, take a look at Hobby Link Japan, BigBadToyStore.com, TheToySource.com, Toynk.com, BriansToys.com, ToyWiz.com, and EntertainmentEarth.com.